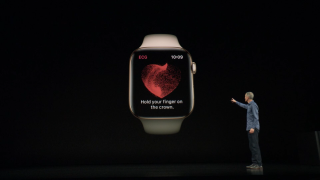 You've probably heard that the Apple Watch is now capable of capturing an electrocardiogram (ECG) measurement of your heart beat in the US and Europe - allowing your device to monitor for atrial fibrillation (AF). The system works by creating a harmless, painless circuit on your body that allows the Apple Watch to perform the ECG thanks to electrodes on the rear of the device and in the Digital Crown. Note: you can only use this feature if you've got an Apple Watch 4 - however, all models will be able to monitor for irregular heart rhythms and notify you if AF is detected. If you're looking to get set up using the Apple Watch ECG feature, you'll need to go through a few steps first to begin getting the data you want from your heart rate. You'll need to be on Watch OS 5.2 and ideally the latest version of iOS 12 on your handset (currently 12.2), in order to enable this feature to work on both devices. Make sure you've got at least 50% power on both (or, even better, connect them to power) and get downloading and installing. Tap the ECG app on your watch (signified by a small heart beat wave) and it'll prompt you to 'Set up the ECG App' in the Health app on your phone. Open said app on your handset and you'll be asked to enter your date of birth - only those over 22 will be allowed to run the ECG. If you don't see this prompt, tap 'Health Data', then 'Heart', then 'Electocardiogram (ECG). Before you can take your first ECG, you'll need to go through a number of screens explaining what it is and what the results will mean. That will be either Sinus Rhythm, where everything is uniform, AF, where there's an irregular pattern, or 'Inconclusive', where your reading wasn't taken properly. This can happen if you're not sitting still, or if your heart rate is too high (above 120 beats per minute) or too low (below 50 beats per minute). So to take the reading, make sure the Watch 4 is on the correct wrist (as you've got it set up in the Watch app) and then place your finger on the Digital Crown. While the reading is being taken, you'll see the pulse wave showing on the Apple Watch screen - as soon as it's done, you'll get a buzz on your iPhone showing the data in a larger size. Your Apple Watch and iPhone will tell you if you've got Sinus Rhythm, signs of AF or an inconclusive result - you can then export the data to a PDF to send to a doctor if you decide to seek medical attention. These tests are logged in the Health app on your iPhone, so you'll be able to see how things are progressing over time. However, remember that this test is designed to check for irregularities in your heart rhythm, not to show you're getting fitter - so only use this test when you want to check your heart is doing what it's supposed to. Apple Watch 4's ECG feature could save lives - but is your heart competible?